Health P.E.I. and the Island’s libraries have announced two initiatives to get young children a head start on literacy. Health P.E.I. and the Island's libraries have announced two initiatives to get young children a head start on literacy. The two programs, "Born to Read" and "Little Ones Read," are designed to encourage parents to read to their children from a young age. "It's never too early or too late to start talking, singing, reading and playing with your baby," said Arlene Rose, acting director of Public Health and Children's Developmental Services for Health P.E.I. "Regularly cuddling and reading together strengthens the bond between you and your baby, as well as helping your baby develop important skills for learning to communicate, and eventually to read." Born to Read is targeted at parents of children who have reached the age of two months. The program includes a wellness visit with a public health nurse, a copy of Baby Look, an accordion-style book, a library card for the young Islander and information about library resources. 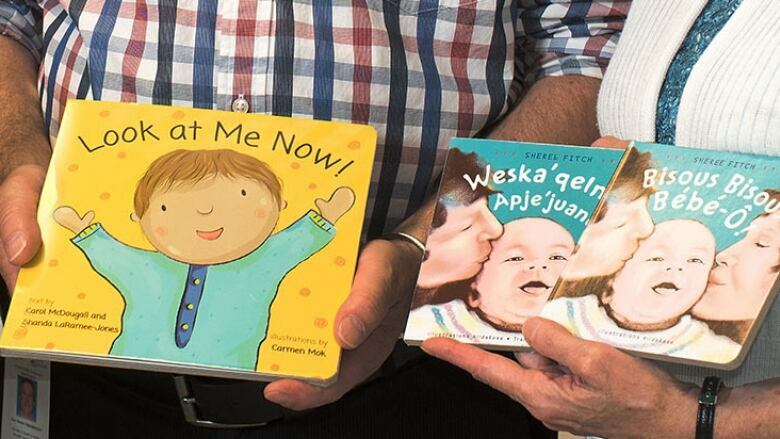 The Little Ones Read program is introduced at a child's 18 month wellness checkup and will include the book Look At Me Now!, which talks about developmental milestones and is meant to "invite lively conversation between parent and child." The program is multi-lingual with a French book, Bisous Bisous Bébé-Ô!, and a Mi'kmaq book, Weska'qelmut Apje'juanu, also being offered. Books for the Little Ones Read program were donated by IODE Prince Edward Island and the Rotary Club of Charlottetown.